Brainstrom/ Prāta Vētra is a Latvian pop group. 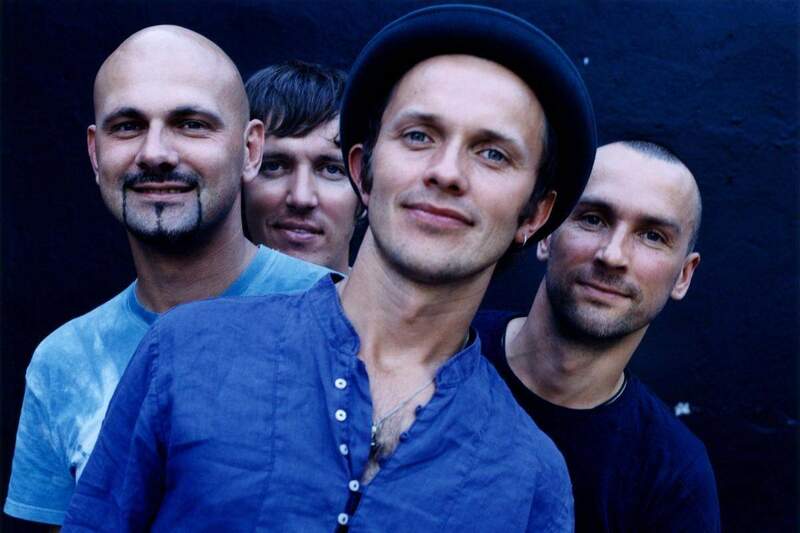 Originally formed in 1989, they have released a number of albums in Latvia, Russia, and internationally, singing in Latvian, Russian, and English. Renārs Kaupers (vocals), Jānis Jubalts (guitar), Gundars Mauševics (bass), Kaspars Roga (drums) and Māris Mihelsons (accordion, piano), met while still in school and started the band in Jelgava, Latvia. Their first single, “Jo tu nāc” (As You Come) in 1992, and their first album Airāk Nekā Skaļi (More Than Loud) gained fair popularity inside Latvia. After a period of relative inactivity, Brainstorm’s single “Lidmašīnas” (Planes) was successful enough to finance a tour through Latvia, Germany, and the United Kingdom. With this growing success, Brainstorm signed with a major record label and sought a larger European audience by recording an English version of “Tavas mājas manā azotē” (Under My Wing Is Your Home) which has topped Latvia’s charts for nine successive weeks in 1996. 1999 saw more international acclaim as Brainstorm released an album (Starp divām saulēm/Among the Suns) in both Latvian and English versions. They were chosen to represent Latvia in the 2000 Eurovision Song Contest with their single “My Star,” sung in English. It placed third and received international airplay afterwards. In 2002, Brainstorm recorded A Day Before Tomorrow with UK producer Steve Lyon, known for his work with The Cure and Depeche Mode. In 2003, the album was released in Russia in a special edition with their first Russian-language song, “Выходные” (Weekends), featured as a bonus track. This was followed up the next year with “Скользкие улицы,” sung with the popular Russian group Bi-2, which reached number one in Russia, Ukraine, and Latvia—and received numerous awards from MTV Europe and the Latvian Music Awards. Tragically, bassist Gundars Mauševics was killed in a car wreck in 2004. The band has continued without him, never fully replacing the bass position, but occasionally inviting Ingars Viļums to fill in on bass. 2006 saw the band’s biggest hit in English: “Thunder Without Rain” and, in 2009, they released their first Russian-language album, ШАГ (STEP). Today Brainstorm remains popular across Europe and Russia, and continues to release a steady stream of music in English, Latvian, and Russian. Var kā krūzīte bez osas.